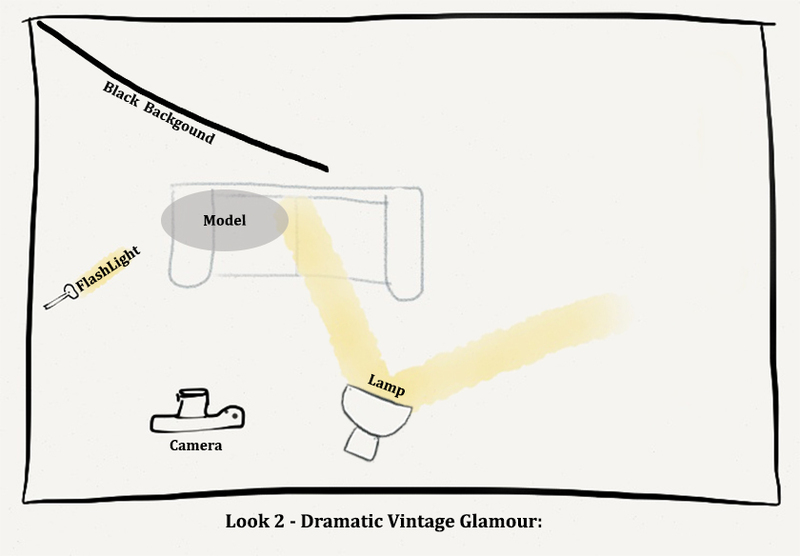 To celebrate the release of the blockbuster movie The Great Gatsby, we take a look at the Vintage Hollywood Glamour genre and show how you can shoot it at home with a few simple household objects including a mirror, gaffer tape and a flashlight. To get a FREE flavor and the back story of Hollywood, here’s a short video review of the recent exhibition “Glamour of the Gods” which toured London, Europe and the US. 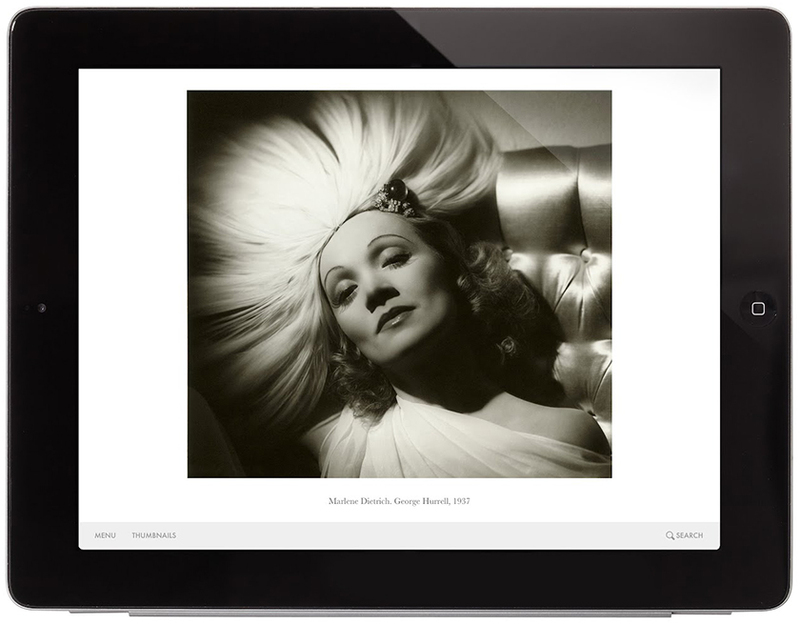 It showcased Hollywood portraiture from the industry’s golden age, the period from 1920 to 1960. All the photographs are drawn from the extraordinary archive of the John Kobal Foundation in London. If that leaves you wanting more, then the Glamour of the Gods is available for Ipad at the app store for £4.99. It contains over 230 images and really is an amazing reference for the genre. I’ll show you how to get two very different looks with two lighting setups using just a single light and a few neat tricks. To make this relevant to as many people as possible, I’ve shot both pictures in the same small domestic room with a sofa and using simple low cost household objects, instead of studio equipment. After that, we’ll take a look at post processing made easy to push the look further. This is a pretty, slightly dreamy look with additional light in the eyes to draw your attention and darkened corners to keep your eye from wandering out of the picture. Top Tip: I really like the plain background, but a popular trick in Hollywood is to shine a light on the background through a bamboo pot plant, this gives the background a different dimension. This look is achieved using a single daylight balanced bulb in any sort of desk or lead lamp which throws the light in a single direction. This is placed to camera right at a similar height to the models head; I used a step ladder to support it. The step ladder allows you to vary the height in small stages like a lighting stand, but it’s free! The light is pointing mainly at the background, but the very edge (which is where interesting light lives) is skimming her to provide dimension to her body. The camera is mounted on a tripod, or you could rest it on a chair with a few books under it if you don’t have one. It’s in aperture priority at f5.6 (30th second) at 70 mm and using manual focus. The light in her eyes is coming from a hand mirror; it’s reflecting back the light from the lamp. I’m stood holding it to the camera left…clever huh? Top Tip: Use black gaffer tape on the mirror you can control the shape of the pool of light, in many original pictures it was a very thin band of light just across the eyes. 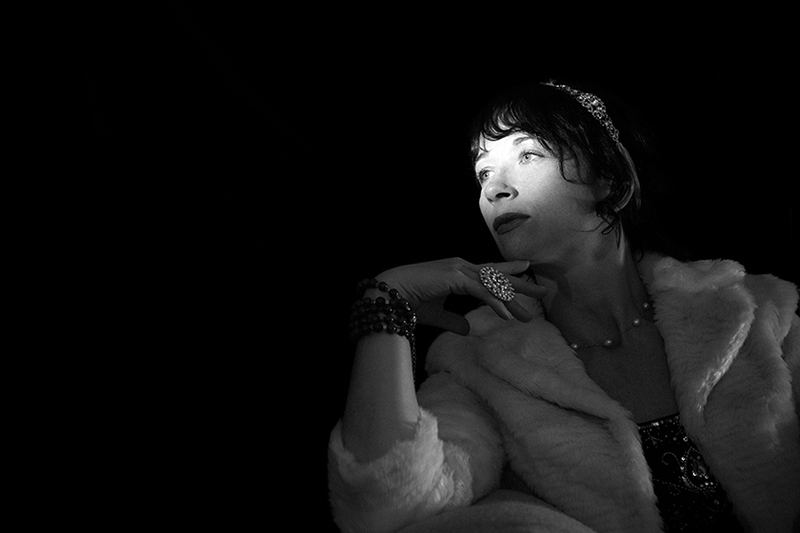 This second look uses same setup with only a minor adjustment of the lamps position, the introduction of a dark background and a flashlight to light her face. The important thing to do in this shot is to use spot metering to get the correct exposure on her face and under expose the rest of the picture. In my case it was 2 stops darker than the evaluative metering suggested. Here is a very simple video to teach you this very very simple principle…it will make a HUGE difference to your photography. For the background I used a piece of black velvet which I hung over the step ladder and taped to the wall. 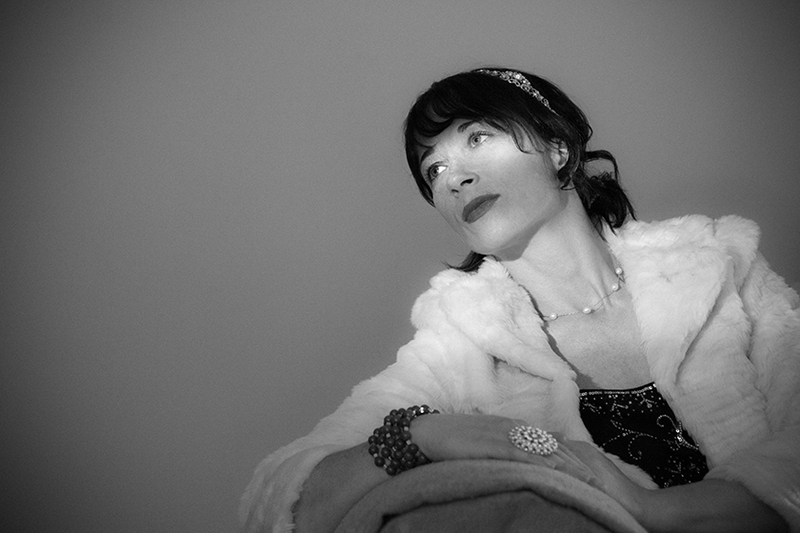 This background was positioned at an angle to the model; this was to shield the background from most of the lamp light. The under exposure with the spot metering took care of the rest and made the background pure black. I’m stood in the same location as before, but this time with a fairly bright LED flashlight with a new style CREE led which doesn’t have much color cast. The shot is setup with the models eyes closed and she opens them wide as the self timer triggers to minimize the time looking at the flashlight. 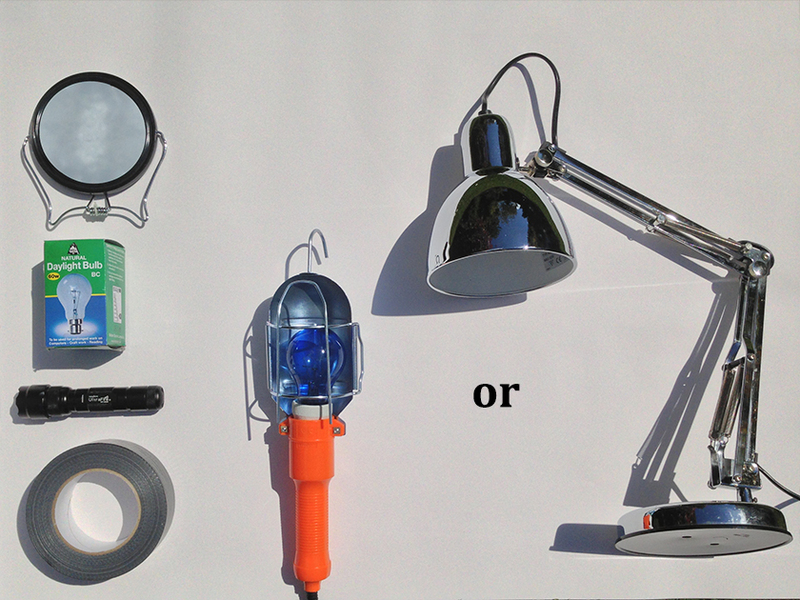 Top Tip: If your flashlight is stupidly bright, you can soften it by placing white material or even tissue in front of it. I’ve been working on a forthcoming project with a very talented software, app and light room specialist and together we’ve created a simple 5 stage light room preset which will transform your images in just a few simple clicks. Each stage has a couple of options; this gives you the ability to really control the look whilst it’s still as simple as child’s play. [cleeng_content id=”799083722″ description=”Download our Hollywood Vintage Glamour Light Room presets for only £1.99 for a limited time only” price=”1.99″ t=”article” referral=”0.1″]Thank you so much for supporting Lightism by purchasing our presets. 1) Download and unzip the files. 2) Start Light Room and click on the develop module in the window drop down. 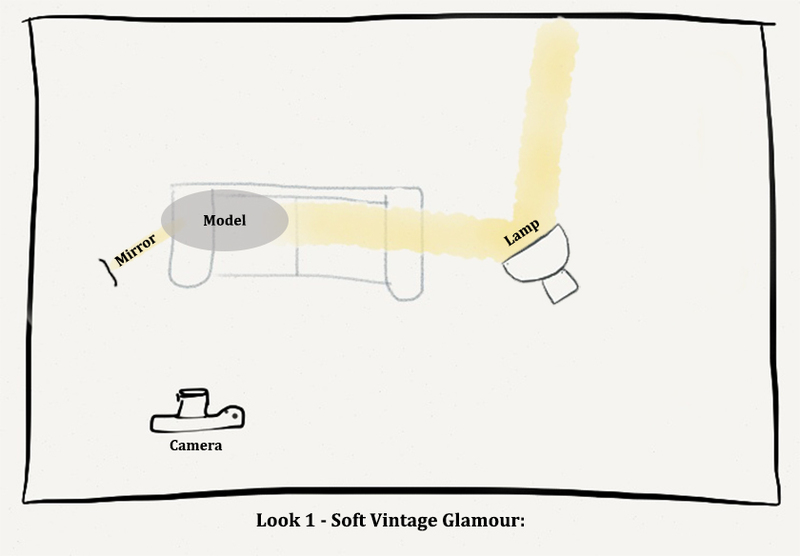 5) Select “New Folder”, Call it ‘Vintage Hollywood Glamour’.